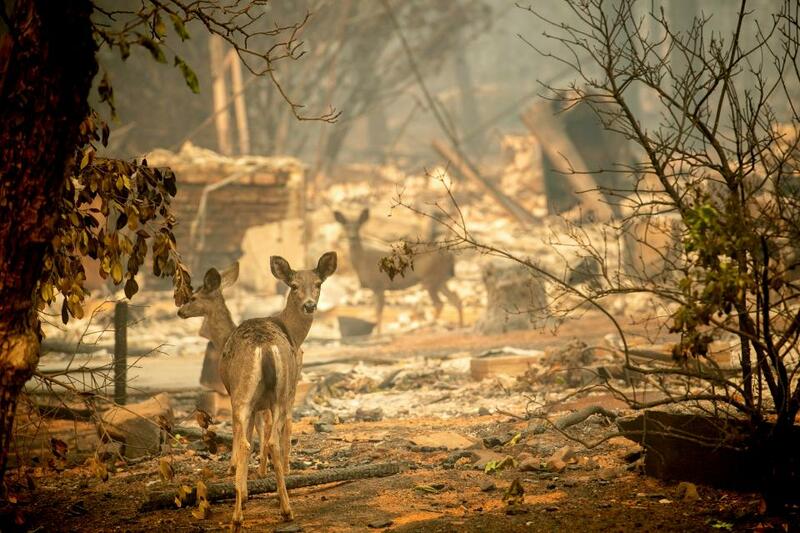 These deer have to be confused as they walk through the aftermath of the Paradise Fire driven by the unrelenting Santa Ana winds in Northern CA. Experts say the Paradise fire traveled football field lengths in a matter of seconds. The single road in-&-out of Paradise was jammed & fraught with falling trees, electrical wires & utility poles. Paint peeled from some of the cars & some were found burned out along the sides of the road. It is thought to be the worst fire in CA history re loss of life & structures.